Choosing an attorney when you've been charged with a crime is among the most important decisions you will make in your life and one you should certainly not take lightly. Whether you've been charged with underage drinking, possessing drugs, a weapons violation, or a violent crime, the consequences can be severe. 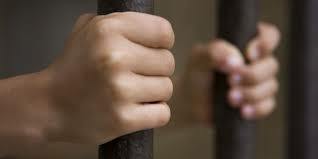 A criminal conviction can stain your reputation in the community, affect your employment, or result in jail time. If you've been charged with a crime in Western Pennsylvania, you need to hire an experienced Pittsburgh Criminal Defense Attorney you can trust. You need to hire Bishop Law. ARRESTED? CALL OR TEXT (412) 589-9422 TO SPEAK WITH A SKILLED PITTSBURGH CRIMINAL DEFENSE LAWYER AT BISHOP LAW IMMEDIATELY. WE ARE AVAILABLE 24/7. In Pennsylvania, drug crimes range from misdemeanor to felony offenses. The specific grading of a drug charge is based upon a variety of factors including: whether the drug was possessed for personal use or for distribution, the type of drug(s) involved, the amount of drugs involved, and the defendant's prior criminal history. The penalties for a drug conviction can range anywhere from probation and a driver's license suspension to a lengthy state prison sentence, depending on the grading of the charge and the defendant's criminal record. Needless to say, if you've been charged with a drug crime in Pennsylvania, the stakes are high and you need an experienced Pittsburgh Criminal Defense Lawyer on your side. A conviction for Driving Under the Influence (DUI) can have a significant impact on your reputation and your future. Whether you're facing a first DUI or you're a repeat offender, the penalties in Pennsylvania can be severe. Not only does a conviction result in a permanent criminal record, a license suspension, and a hefty fine, but it could rob you of your freedom. DUI is a serious crime that requires serious legal representation. 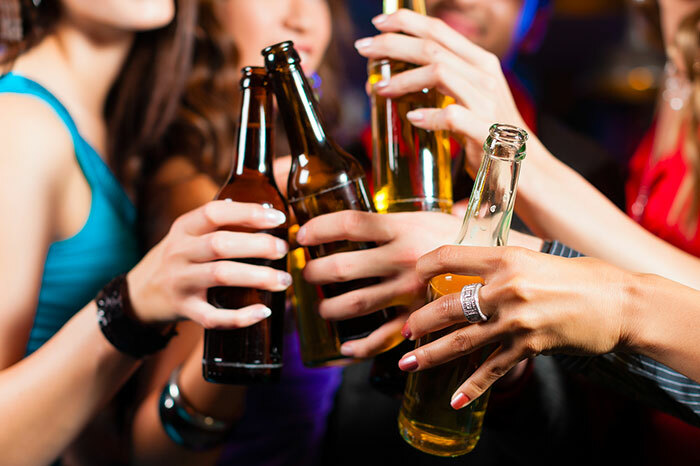 If you've been charged with a DUI in Western PA, you need to speak with an experienced Pittsburgh DUI Attorney who is willing to vigorously defend your rights and will fight to ensure that you receive the best possible outcome. 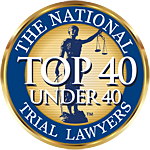 Crimes that result in injuries to others carry significant penalties in Pennsylvania. Not only are violent crimes prioritized by police, but they are prosecuted aggressively by the District Attorney's Office and often result in longer sentences than other victimless crimes. As a person charged with a violent crime, you're less likely to receive a favorable plea offer and more likely to go to trial. For that reason, if you've been charged with a violent crime, it is imperative that you hire an experienced Pittsburgh Criminal Defense Attorney to begin building your case immediately. In the United States, every citizen has the right to bear arms. In Pennsylvania however, a person's right to possess a firearm is not absolute and is heavily regulated. There are various PA gun laws that restrict who can possess a gun and how it can be possessed. Simply put, a violation of any PA gun law can lead to serious consequences, including jail or prison time and a hefty fine. If you've been charged with a gun crime, you need to hire a Pittsburgh Criminal Defense Attorney with the experience and expertise necessary to fight your gun charges and get your case dismissed. Crimes involving the theft or destruction of property can be penalized very severely in Pennsylvania. A conviction for a theft offense can permanently stain your record and severely limit future employment opportunities. Meanwhile, property-related offenses like Arson, Burglary, and Criminal Trespass are felony charges that can result in a state prison sentence if convicted. When facing such high stakes, it is imperative that you speak to an experienced Pittsburgh Criminal Defense Lawyer immediately. When young people go away to college, the freedom and lack of supervision can be overwhelming and lead to some irresponsible decisions. College students, unlike the adults who raised them, don't have the benefit of life experience to color their judgment in the face of peer pressure. The unfortunate result: a good kid makes a bad decision and gets charged with a crime. In such a situation, without proper legal representation, that student risks incurring a permanent criminal conviction on their record, which can have serious consequences and drastically affect a young person's career and future goals.In light of such serious potential consequences, it is imperative that you hire an experienced Criminal Defense Attorney who knows the system and has the relationships necessary to successfully negotiate a withdrawal or dismissal of the charges. In Pennsylvania, a crime committed by a juvenile (someone under 18) can have a serious impact on a child's future. A criminal adjudication (which is the legal term for a juvenile conviction) can land a child on probation, in an after-school disciplinary program, or even in a long-term juvenile delinquency facility. Worse yet, a juvenile record can significantly affect a child's future educational and employment opportunities. Don't let youthful indiscretion ruin your child's future. If your child has been charged with a crime, call or text (412) 589-9422 to speak to an experienced Pittsburgh Juvenile Attorney at Bishop Law immediately. For a free consultation with a skilled Pittsburgh Criminal Defense Attorney at Bishop Law, call or text (412) 589-9422 or fill out the contact form below. Describe your legal issue and an attorney from Bishop Law will be in touch with you shortly.